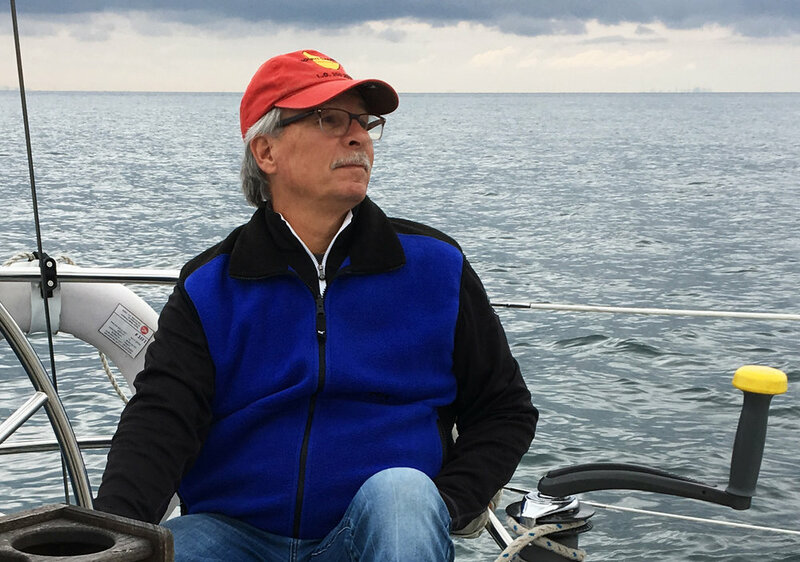 “I come from a sailing family and I have been an active sailor on Lake Ontario for the past 30 years. If you don’t know me, I’m sure you have friends who do who will vouch for my knowledge, passion and integrity. I’ve been a sail buyer as well as a sail seller, so I know what’s important to sailors. UK Sailmakers’ X-Drive sails tick all the boxes of durability, performance and price for the average 25-40 footer on Lake Ontario along with the all the lakes around Ontario. With the formation of the new loft happening so recently, there was no time to prepare a booth for this year’s Toronto International Boat Show, but UK Sailmakers Ontario will be offering Boat Show Pricing for all new sail orders placed by Thursday, January 31st. A blast from the past. Randy and his wife Sue, who will be involved in the loft, with George Cuthbertson.